The famous "lost" Doctor Who adventure "Shada" was to have aired in six episodes from January 18 to February 23, 1980, but was never completed due to a BBC strike. In 1992, the existing scenes (mostly "location" footage) were edited together into a two-hour continuity for home video, with the Doctor (Tom Baker) providing linking narration. What emerged was a story concerning a book called "The Ancient Law of Gallifrey," which arouses the interest of the mind-draining Skagra (Christopher Neame), and also the infamous Time Lord outlaw Salyavin (Denis Carey). The title refers to the planet where the story comes to an explosive climax. 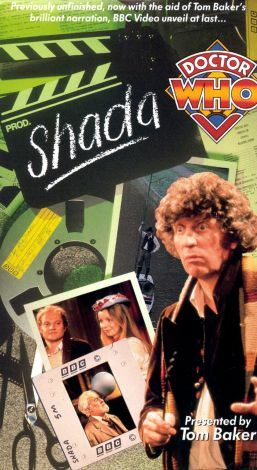 "Shada" was written by Douglas Adams.